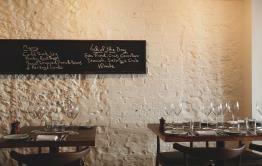 Coppa Club is a place for eating, drinking, meeting and unwinding. Built around a central, brass bar that is open on all-sides, Coppa Club has a raised lounge for working and winding down, a 250-cover restaurant with a marble herringbone floor, and a café with booths and a fireplace. Outside, there is a large, south-facing terrace that catches the sun all day. The seating is designed to make the most of the amazing view over the river. 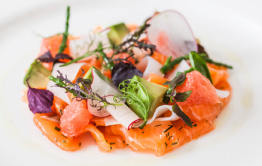 The menu focuses on thoughtful, unfussy, European food from small plates and snacks to grilled mains, sourdough pizzas and healthy salads. 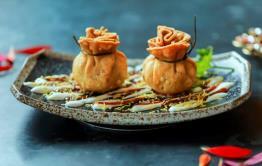 There is a wide selection of breakfast and brunch dishes and the bar serves carefully-chosen wines, beers and classic cocktails as well as new creations. The restaurant is open from early morning until late at night, seven days a week. 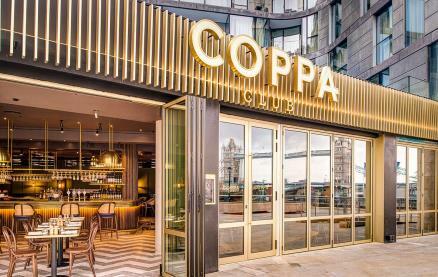 Be the first to write a review and share your experience at Coppa Club (Tower Bridge) with other diners.